What is VeryPDF DRM Security? 2. VeryPDF VPDF Readers for Windows, Mac OSX, Android and iPAD/iPhone, provide the perfect delivery mechanism for the secured PDFs, enabling users to authorize and read the secured files with minimal technical know-how. VPDF readers are very small and have no substantive system dependencies, so require minimal installation. For Apple’s iPads and iPhones, Android devices and Mac OSX operating systems they can be installed directly from the AppStore facilities on the end user’s device. 3. VeryPDF Digital Rights Management (DRM) service – this provides the central document authorization facilities. It is written PHP langauge, running on Microsoft Windows and Linux platforms and uses an MySQL database. With VeryPDF DRM Security software, you can set the dates you want to allow the file to be read from and to, how often the recipient can view them and whether they can print them (and if so, how many times/pages may be printed). And you can be confident that documents cannot be copied or saved as PDFs. Furthermore, using the option to create locked files, they can only be read by people you provide authorization to, and cannot be copied to another machine or individual. VeryPDF VPDF Readers are free and designed to view DRM protected VPDF files. VeryPDF VPDF Readers are small, fast, high quality PDF Readers with built-in security. To download VeryPDF VPDF Readers simply select the reader required from download page. VeryPDF VPDF Reader for Windows is available for download from here. VeryPDF VPDF Reader for iPad/iPhone is available for download from the iPad/iPhone App Store. VeryPDF VPDF Reader for Mac OSX is available via the App Store facility on modern Mac OSX computers. 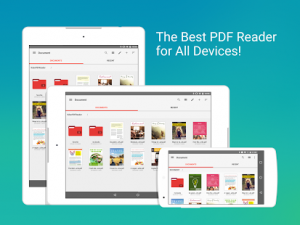 VeryPDF VPDF Reader for Android is available via the Google Play App Store.